Now you may be wondering "What is Vedic Astrology?" You probably have heard of astrology--who hasn't? Most people know what their Sun sign is in Western Astrology, but very few know about Vedic Astrology, the subject of this report. Even people who have only the slightest smattering of knowledge about astrology want to know what is Vedic Astrology and how it differs from the Western Astrology that they are accustomed to. To answer these questions I would first like to very briefly explain a little about Vedic Astrology and how it is different from its Western cousin. First of all, Vedic Astrology is technically termed a sidereal system whereas Western Astrology is tropical. What this essentially means is that up in the sky there are stars which make up the various constellations of the Zodiac such as Virgo, Aquarius, etc. Vedic Astrology is based upon the actual stellar constellations (sidereal), whereas Western Astrology is based on a fictitious zodiac that slowly moves backwards in space as a function of time (tropic in Latin means "to turn"). These definitions can be found in any good dictionary. As of this writing (October, 1993), the beginning of the Western imaginary zodiac--their first point of Aries--is at 6.25 degrees of the constellation Pisces. This is called the Age of Pisces in Western Astrology. This first point will move in a retrograde (backward) motion at a rate of about one degree per 72 years until it enters into the constellation of Aquarius. That will be the beginning of the famous Age of Aquarius that we have all heard about. At the rate of motion of 72 years/degree ´ 6.25 degrees, it will take 450 years before the so-called Age of Aquarius takes place. Out of ignorance of astronomy, the New Age community has "jumped the gun" by almost half a millennia in declaring that we are already in the Age of Aquarius. Secondly, as already mentioned, Vedic Astrology is based on a very old, unbroken tradition since time immemorial whereas Western Astrology has had a very checkered history. Astrology virtually disappeared in the West during the Dark Ages (circa 500-1000AD); it resurfaced during the Renaissance, only to fall out of favor during the so-called Age of Reason. In fact, it totally disappeared from the European continent until the late 19th century. It had been kept barely alive in England during that time. Western Astrology as we know it today has existed for about 130 years only when it began a resurgence. The point is that the Vedic tradition is very strong and vibrant, with the heritage of many millennia of accumulated knowledge, whereas Western Astrology does not have the advantage of an unbroken tradition. 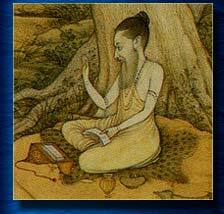 Thirdly, Vedic astrology, being an appendix to the Vedas, is thoroughly steeped in Vedic thought and philosophy. This means that the practitioner of the science must have earnestly assimilated the Vedic philosophy and lived the life of a Vedic Brahmana, with all its attendant spiritual practices. By contrast, modern Western astrology is a reflection of permissive Western culture, in which "anything goes." Western astrology has no real or consistent philosophical basis; what passes for a basis is watered down, distorted, third-hand Vedic philosophy. The Western Astrologer has (in comparison to the Vedic Astrologer) no philosophical training, nor does he know what it means to follow a spiritual discipline. The combined effect of genuine philosophical knowledge coupled with an authentic spiritual lifestyle cannot be overestimated when it comes to developing the divine vision and ability that is so necessary for enabling an astrologer to properly guide others. I have hardly done justice to the subject of comparing-contrasting Vedic and Western Astrology, but hopefully what I have said will give the reader an inkling of the differences. These are not just technical differences but depend on an entirely different world view. Now that we have completed our digression, let's return to the main objective of this treatise. The birth-map, or horoscope, is a symbolic representation of the Earth, planets, and stars at the time of one's birth. It is a divine language, a mystic cryptogram by which God has communicated what a person's destiny will be, knowing which a wise person will exercise his free will to optimize the result. "Just as a calf can find its mother in a herd of 10,000 cows, in the same way your [re]actions will find you." The reactions to life's actions are inescapable by everyone except those who are completely devoted to God (via Bhakti-yoga). When a karmic reaction ripens and fructifies it creates a new situation, a new environment that presents us with more choices upon which to exercise our free will. Thus, life is an interplay of both fate and free will as previously stated. Let's consider an example of how this works. Suppose someone is born into a poor family because of his bad karma from a previous lifetime and so is raised in a ghetto beset with crime and poverty. Let us say, hypothetically, that he has two choices. He can blame society for the evils he faces and thus try to victimize society by taking to a life of crime to acquire wealth; or he can take responsibility for his situation and try to better himself by education and honest endeavor. Suppose he chooses the first option of crime and robs several establishments. Eventually he will get caught (if not killed first) and sent to jail, a natural reaction for his criminal behavior. But even while in jail he still has options, though more limited than those of a free man. He can choose to be a hardened criminal or to be a model prisoner and reform himself. Each choice will have a reaction. Thus we can see that life is an intricate interplay of fate (karma) and free will.